Imagine running into a problem with your G-code—maybe one of the 3D surfaces on the mould cavity you’ve been programming is a little wonky, or a feature blend isn’t quite right. Wouldn’t it be cool if you could call up the CAD/CAM developer and get them to tweak the code for you? If you were a machinist at Miltera Machining Research Corp. in Kitchener, ON, that wouldn’t be a problem. That’s because Miltera’s sister company is Truepath CAM developer CAMplete Solutions Inc., and the programmers work right next door. Any machinist with a toolpath problem can pick up the phone or take a short walk down the hall. It’s probably not accurate to call them machinists, however. The folks who run the machines at Miltera are project managers, but ones with chips in their boots—they talk to the customer and collaborate on part design, quote the jobs, program the machines, design the workholding and pick the tools, then head out to the shop to make the parts. They’re not cranking the handles on some greasy old machine tools. 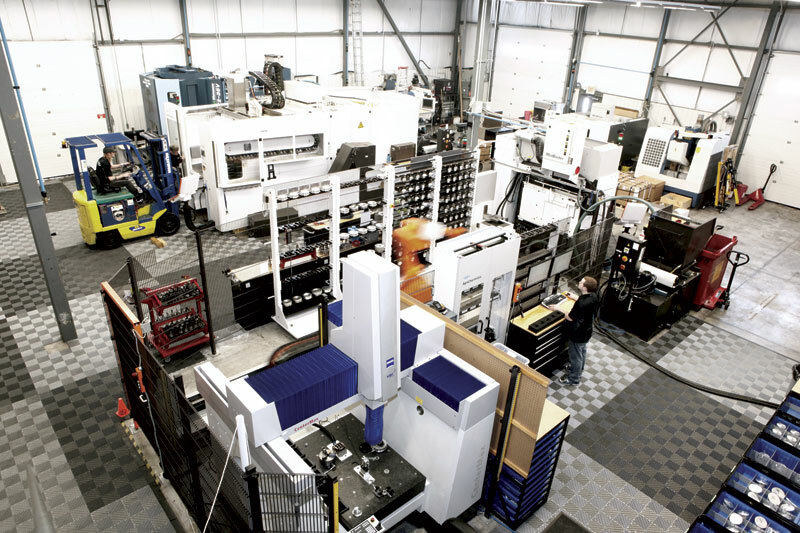 Miltera’s 1,000 sq m (11,000 sq ft) climate controlled facility houses some impressive equipment—a pair of Mikron 400U LP five axis machining centres boasting 42,000 rpm, a WT-series Y axis multi-tasking lathe from Nakamura Tome, and two additional five axis mills: a Matsuura MAM and a Mikron HPM800, purchased from distributor Elliott Matsuura Canada. This entry was posted in Machining, Shops, People and Places and tagged 5-axis, melter, shop metalworking. Bookmark the permalink.